Stand out! The perfect portable advertisement. 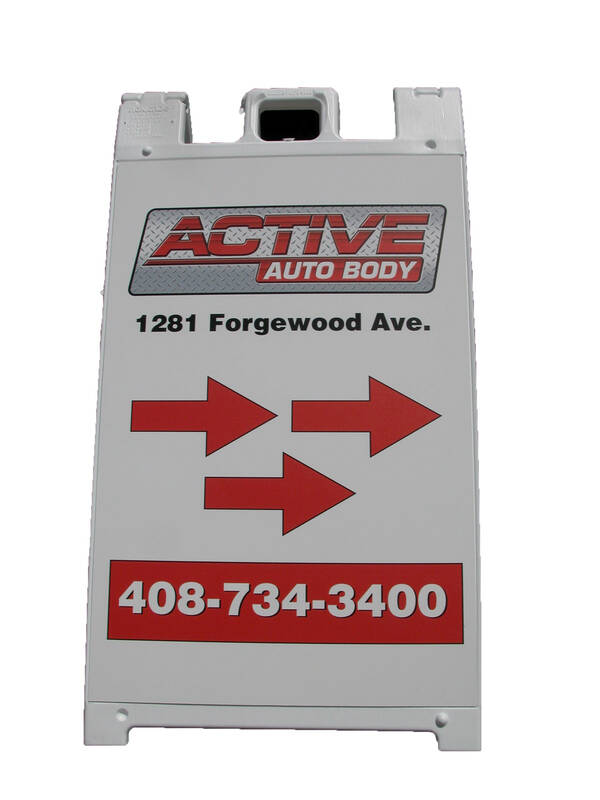 Place this double-sided a-frame sign on sidewalks and high traffic areas to attract more people to your business, organization, or event. 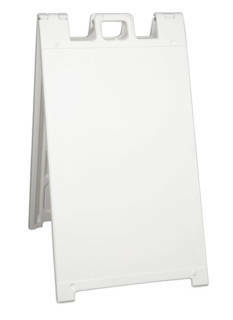 Durable, double-sided, and easily portable. 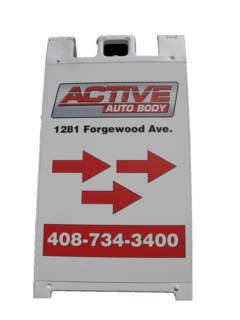 All plastic a-frame sidewalk sign is 25"W x 45"H. It includes two custom printed signs sized at 24"W x 36"H. Hole with plug on each side of frame is for sand ballasting - 5 lbs. per side is recommended. 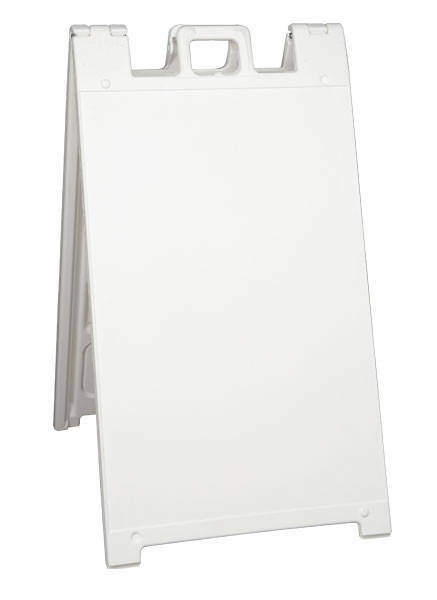 Molded-in handle allows for easy portability and stacking lugs facilitate handling by preventing stacked units from sliding. The frame color is white and the material is gloss adhesive vinyl. Hardware only option available. Select Options for Instant Quote pricing.